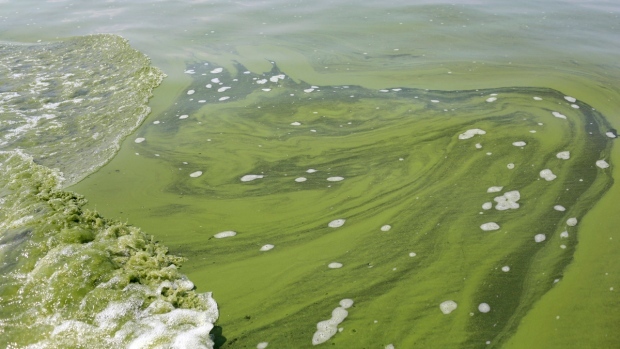 We may now know what's behind the green algae in the southern-most Great Lake. A report issued by the International Joint Commission leaves little doubt that commercial fertilizer and manure applications are the largest sources of excess phosphorus into the western basin of Lake Erie. Algal blooms are organisims that can severely lower oxygen levels in natural waters that could kill marine life. Some are associated with algae-produced toxins. The areas studied include the binational western basin and the St. Clair-Detroit River system. “Even a small ‘leakage’ of excess phosphorus may be sufficient to contribute to algal blooms,” the report states. The report also indicates the widespread use of subsurface artificial tile drains may also increase rates of phosphorus entering the lake.